As a composer and sound artist often working closely at the nexus of radiophonic art, environmental sound and electroacoustic music, one of my primary interests is in the exploration of relationships between people and the incredibly rich sonorous environments they populate. In particular, the sounds that exist all around us, however that are often out of earshot (or at least not listened to in any conscious manner), as with the sounds beneath us as we tend our daily lives. terra subfónica is a radiophonic work reflecting aspects of sub sound through a series of dramaturgical, radiophonic miniatures. Sub sound in this instance is not a term indicating low frequency sound, as in bass material, but rather a radiophonic suite reflecting and meditating on aspects of that which is below us; ultimately mapping a sub sonic terrain lying just below, or on the periphery of our (typically) perceived threshold of hearing. The sounds and sonic fragments chosen to represent different aspects of sub sound have been used as a basis for generating the narrative/ dramaturgical structure in each of the miniatures. Shards of familiar, strange, overlooked and unheard sounds coalesce, as metaphor and sound arcanum guide the listener throughout each of the works in the suite. Importantly, the content and presentation of terra subfónica gravitates around an eclectic array of soundart works exploring the medium of radio. In an attempt to explore my own perception of the medium of radio, I wanted to produce a diverse body of work, from field recordings and instrumental music to electronic music and beyond. This also meant creating 2 monophonic soundworks expressing my interest in sonic possibilities for monophonic sound diffusion environments, as well as employing various experimental sound reproduction techniques to compose, as well as preserve the actual spaces several of the works inhabit. Although combining to create a suite of works with a common theme, each miniature functions as an abstracted narrative in shorter, self-contained parts, as with works in a suite. The works often include recordings of instrumental material, designed to assist the listener in mapping/ navigating the constructed works, and occasional vocal sounds that are employed to articulate human presence rather than to impart any specific narrative. // All material created whilst ‘Radio National Media Artist-in-Residence’, Australian Broadcasting Corporation (ABC) 2010. All material recorded, composed mixed and mastered by Daniel Blinkhorn, with additional engineering by Philip Ulman, ABC. // All guitars by Jeremy Sawkins. // DJing/ beats on ‘toy bagatelle – i’ provided by Olivier Zeller. // Clarinets on ‘geste sonore’ by Rémi Delangle. // This Project has been assisted by the Australian Government through the Australia Council for the Arts, its arts funding and advisory body. Each of the sections in the triptych explores a specific aspect of a seascape. draws the listener’s attention to the minute and sensuous sounds of a unified nature surrounding the sea, forming part of a seascape. Whilst wanting to create material that captured the sounds of time, I decided to approach both works (sub chron i and ii) from a metaphorical, rather than literal perspective. The most obvious sound source to use was that of clocks. Using a variety of recordings of clocks, the two sonic timescapes seek to typify aspects of time. From a composed perspective, this was achieved by observing relationships often associated with time such as pulse, measure, synchronicity, motion, accellerandi and ritarando (amongst others). The only additional material used is a field recording of a public space, reflecting people’s contiguity to time in our everyday lives. The second section in the seascape triptych attempts to capture the sonic vitality accompanying the life of a colony of hermit crabs. 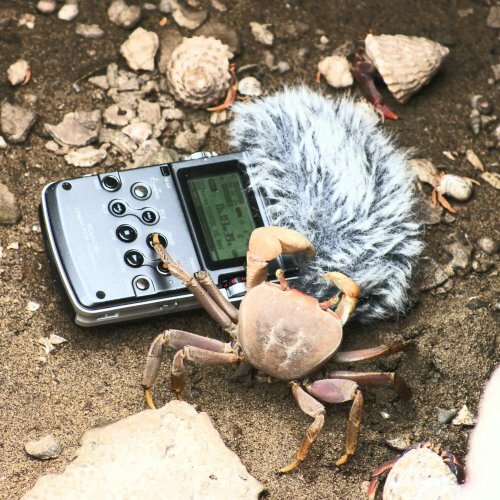 After encountering a surreptitious colony of hermit crabs on an island off the coast of Venezuela, I was astounded to discover the wonderful world of sound contained within. As I stood and looked at the colony, I wondered what the small crabs sounded like. I was barely 5 feet away, yet could hear nothing of the activity within the colony. Fascinated by the idea of the arcane and hermetic textures they might create as they jostled and wrestled over one another in a somewhat confined space, I lowered a microphone into the colony in an attempt to eavesdrop, hoping to capture some semblance of their activities. One of two miniatures centred on the theme ‚inside the machine – inside the body‘. Cityscapes hum. All the sonic activity contained within a densely populated urban environment generates an often imperceptible, yet omnipresent hum We are perennially exposed to this low frequency activity, yet are largely unaware of it. Much of our lack of awareness can be attributed to the masking of the low frequency, amorphous hum by all the other, more clearly articulated sounds around us. I wanted to present a short work that situates a musician within the context of an urban environment, presenting the listener with two very distinct strands of material. The hum becomes an analogy for a very low frequency drone as a busker plays on a street corner. The second of two miniatures centred on the theme ‚inside the machine – inside the body‘. This piece is a somewhat literal representation of the omnipresent sounds of our heart, blood and lungs. At first in isolation, and then as we walk into an urban environment, the work articulates how, to a large degree we have filtered out our body sounds, yet they are omnipresent and occupy every aspect of our lives. Recording of the material involved the use of a handmade ‘stethoscopic’ microphone, taped to the body whilst undertaking a soundwalk. Beeps, chimes, electronic chirps… Auditory signifiers of relative shapes and lengths, designed to communicate a vast array of meanings. So vast an array of meanings in fact that these sounds seem to blend into the background, only occasionally reaching through to us. This work attempts to bring to the foreground some of these auditory icons, from summons to prayer to evacuation alarms. In doing so it intimates a certain desensitisation to the meanings behind these otherwise relatively loud tones, as we fail to take heed of their message, almost as though the more we hear then, the more peripheral they become. Even if the icons sometimes signify danger. The miniature was created using recordings on a soundwalk in a ship as it was forced to evacuate passengers and crew. Additional sounds were captured on a sea port soundwalk in Trinidad. tape junk is a short sonic portrait created using out-takes of jazz guitar recordings within the studio environment. The miscellaneous sounds typically discarded within the studio‐based environment have been reclaimed and used as composed artefacts. In particular, the artefacts have been assembled to portray a broader aesthetic of peripheral activity, inherently bound to the overall process of recording and structuring, yet disposed of entirely when presenting the subject matter of the recording; the final, mastered composition. Whilst wanting to create material that captured the sounds of time, I decided to approach both works (sub chron i and ii) from a metaphorical, rather than literal perspective. The most obvious sound source to use was that of clocks. Using a variety of recordings of clocks, the two sonic timescapes seek to typify aspects of time. From a composed perspective, this was achieved by observing relationships often associated with time such as pulse, measure, synchronicity, motion, accellerandi and ritarando (amongst others). The only additional material used is a field recording of a public-type space, reflecting people’s contiguity to time in our everyday lives. voix sous is an abstracted soundscape created from a short series of fragmented whispers. Rather than focusing on the vocal content of a whisper, through an exploration of density, mass, continuity and magnitude the work celebrates the power of these all-to-peripheral, intentionally quiet utterances. To me, the act of whispering is often intimate, and the sound comforting. Part of language, yet reserved for those particular times when talking is perhaps not enough to convey the emotional content behind the words themselves. Whispers are personal, often secretive and sensuous gestures, intended to draw another closer. voix sous is a short work that amplifies the ethereal world of whisper and intimate vocal gesture, an activity that occurs around us all the time. The majority of material comes from a series of whispers, coalescing to become a single unified utterance, with a pitched utterance to provide a fixed harmony. This work was recorded and created entirely on location at the Visby International Centre for Composers, Sweden. The centre is situated directly opposite a small harbour that has been in use for well over 1,000 years. The work shifts between the physical context of the port with its minutia of everyday sounds contained within, and various dramatized abstractions of the same port, seeking to elevate the sonic (and aquatic) activities generated by its many seagoing vessels . The first in another radiophonic triptych comprising 3 sections, with the structure of stereophonic – monophonic – stereophonic for the presentation of sound portraits. Each section in the triptych gravitates around my 3 children, and the sound material was inspired by the bagatelle; both as a playful musical ‘trifle’ and a children’s game originally from the 19th century involving a wooden board and a ball. The sounds accompanying children playing are intimately bound to their imagination as they tumble, roll, giggle and rumble through a playscape. This first section captures some of the sonic activities of children playing, and draws extensively from the bagatelle in both its incarnations; firstly, to portray a light, playful musical piece, and secondly through the use of sounds recorded when my children were playing the game of bagatelle. I wanted to present the listener with a ‘through wall’ perspective of children playing. We spend much of our lives with nothing but a wall between ourselves and the manifold sonic activities created by children. Inspired by the sounds I imagined my neighbours must hear, this section situates the listener as though holding a glass to a wall, placing your ear on the glass and listening. To create this section, I firstly composed a playscape drawing from recordings of my children playing with toys, games and other sounds around our house. Then, using a contact microphone attached to the inside of a glass, I recorded the sound of the composed playscape as it was played from speakers in a room next door in our home. The final composition that is presented quickly shifts the listeners perception between the recording captured through the glass and the original material. A single key struck on a toy piano provides the majority of material for this section, whilst also using some of the sounds from the game of bagatelle. This final section presents a resonant, abstracted sound world complete with sound from a child’s music box. As mentioned however, the focus for this final section in the triptych is on a single time-stretched note from a toy piano which is used as a metaphor of the importance in which children stretch the imagination whilst at play. intersections intimates the highly apparent, yet intangible nexus of natural environment and human intervention. At what point does the sound of nature dissolve entirely, consumed by human activity. Is the transformation a stark, vertical column of human intervention forcibly subduing nature, or a more diffuse, gradual overwhelming of natural landscapes? Tras resultar premiado en la octava edición del Concours International d’Art Radiophonique Luc Ferrari (La Muse en Circuit, Centre National de Création Musicale, 2009) por su pieza para clarinete y sonidos fijados ‚In situ bacia‘, el compositor australiano Daniel Blinkhorn disfrutó, en 2010, de una residencia artística concedida por la Australian Broadcasting Corporation (ABC). En el transcurso de la misma realizó „Terra Subfónica“, composición de la cual es objeto este registro publicado recientemente por el sello alemán Gruenrekorder. Se trata de una interesante creación radiofónica a propósito de aquellos sonidos que, a pesar de rodearnos a diario, o bien quedan fuera del alcance de nuestra percepción auditiva, o bien desatendemos sin más. Eventos sonoros esencialmente invisibles a los que el autor denomina con el término „sub sound“. Aspectos pues de la actividad subsónica resultarán reflejados a través de las diecinueve secciones o miniaturas acusmáticas que, sin sujeción a una narrativa específica, integran esta obra de una hora escasa de duración. Todo el material contenido en „Terra Subfónica“ fue grabado, compuesto, mezclado y masterizado por el propio autor, contando con la asistencia del ingeniero de sonido de la ABC Philip Ulman. En el libreto incluido en la edición del CD, Blinkhorn ofrece una descripción de todas y cada una de las diecinueve secciones comprendidas en la obra. An investigation of sound and sub-sound, Terra Subfónica offers a vast array of timbres: heartbeats and clocks, coral creatures and children’s toys. This rich, engaging, and fulfilling work is sequenced in such a way as to produce a feeling of ongoing surprise. Blinkhorn takes an obvious delight in his subjects, and his mood is contagious. With Terra Subfónica, composer and sound artist Daniel Blinkhorn has created a futuristic collection of sub-sounds designed to focus on what we hear in our subconscious. The result is a striking collection of recordings that are combined with Blinkhorn’s instrumental material to create a piece of work that is at once familiar and bizarre. Or, as Blinkhorn himself says, the CD presents a suite of ‘19 dramaturgical, radiophonic miniatures that map a sonic sub terrain’. Phew. 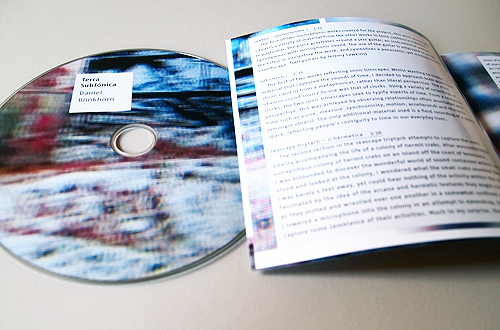 The CD is divided into several series and triptychs covering such terrain as seascapes, tones and timescapes, machines and cityscapes. Other pieces focus on such abstract themes as sonic spaces and even children playing. 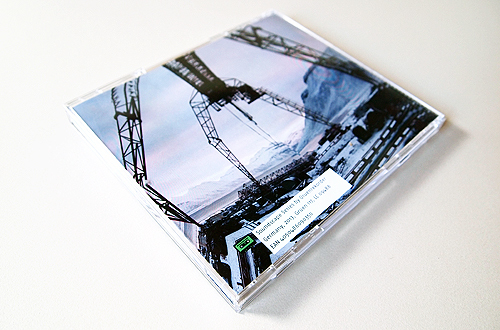 Some of these tracks, including ‘(sub)urban mantra’, focus on the instrumental; others, such as the seascape triptych, highlight the sounds of nature; and some are just plain weird, like the robotic, machine-inspired, ‘corpus sanus – computare’. On other tracks, the sounds are brought together in a way that combines field recordings, electronic music and experimental sound techniques, manipulated into a radiophonic cacophony. Blinkhorn also wanted to explore the medium of radio; something that comes across quite clearly on several of the tracks, in particular, ‘place/space threnody’. He’s pushing the boundaries of sound on ‘toy bagatelle i’, which utilises a stereophonic/monophonic/stereophonic structure to accompany the sounds of children playing. The overall feel is certainly one of an artist and relishing the opportunity to experiment in order to present something totally unique. The result of all this experimentation means that, at first listen, the recordings seem diverse and random, as the ear struggles to reconcile the instrumental work with fragments of the familiar and the alien sounds Blinkhorn has merged. On repeat listens, however, a pattern starts to emerge and the brain starts to get tuned in to these sub-sounds. It must be noted that while the end result of Terra Subfónica is certainly interesting, it seems more a piece of work to be admired than one to be enjoyed repeatedly. More than mere background, the work demands attention but is quite a challenging listen; especially to those not familiar with this type of sound manipulation. Overall, Terra Subfónica is an ambitious and highly original work of soundart that has the potential to open listeners’ minds and ears to a whole new world going on beneath what they usually hear. Gruenrekorder presents Terra Subfónica by Australian composer and sound artist Daniel Blinkhorn. As stated in the liner notes, his work lies at the “nexus of radiophonic art, environmental sound and electroacoustic music.” That’s a fairly accurate description of the sounds at hand on this disc. Through 19 tracks, Mr. Blinkhorn offers a panoply of radiophonic miniatures that may be short in stature, however sound much larger than life. I often roll my eyes when any piece of art is described as a “feast for the senses,” but this time (and this time alone) I will make a rare exception. This disc truly is a feast for the senses. 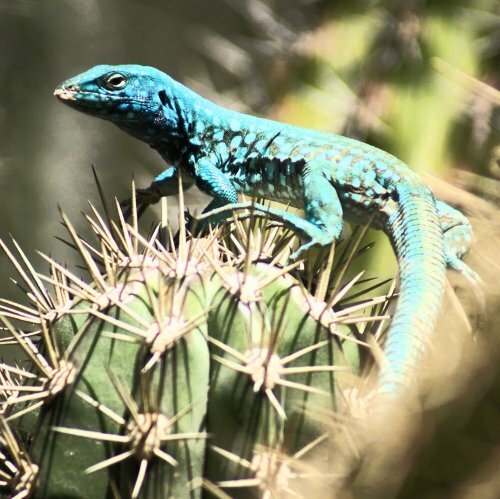 The sounds found on Terra Subfónica run the gamut, including mixing and melding of: field recordings, crisp electronic pops and crackles, aquatic sounds, ticking clocks, jazz guitar, voices, and even some beats thrown in for good measure. Of course that really only begins to scratch the surface. Despite each track’s short length, ranging from 1 ½ to 5 ½ minutes (though most tracks clock in well below 3 ½ minutes), there’s a focus and unity to each piece with the larger sum. I think these tracks are just the perfect length, which play like briskly moving samplings of sounds. It’d be hard to believe that a casual listener wouldn’t find something intriguing or enjoyable on this album. There’s a little something for everyone. My only qualm with Terra Subfónica are the extensive notes on each piece contained within the insert. Truthfully, a lot of the commentary came off as a bit pretentious for my tastes and I ended up just skimming over them. While I tend to like a little commentary on the recording process, I felt a little too much was given away, especially with the tracks being so short. There’s something to be said, for having some mystery surrounding your work. Of course, I was happy to shelve the booklet and just absorb the sounds. Once again, along with Adrian Dziewanski’s Island Terminus, another classy release from the fine folks at Gruenrekorder. With Terra Subfónica Daniel Blinkhorn has created a conceptual radiophonic work that fuses familiar, odd, neglected and unheard sounds. The sound-artist has focused his attention on the potentiality of comprehension and impressions of the medium of radio, manipulating the “traditional” techniques of audio awareness. Silences are allowed to emerge and poignant field recordings and other sound fragments manifest a sort of mapping process located at the edge of understanding. One of Blinkhorn’s main interests is “the exploration of the relationships between the people and the sound environments”. He has managed to fashion a number of articulate conceptual cages for this small radio-dramaturgical suite, adding instrumental and electronic sounds but still keeping a sense of the environments in which the works reside. The result is very fluid and rich with poetic passages, thanks to elaborately cut-up audio captures that intersect different planes and inspire the narrative, forming a meticulous work composed of 19 scores. Daniel Blinkhorn, Australian composer, sound and digital media-artist has persuaded us of his talent: this release is highly enjoyable and full of charm. In Terra Subfónica Daniel Blinkhorn s’applica in guisa d’una concettuale opera radiofonica che eleva a medium percettivo le suggestioni indotte da suoni familiari, strani, trascurati e inauditi. L’esplorazione del sound-artista focalizzata sulla capacità d’intendimento e d’impressione del mezzo radiofonico lavora sulle “tradizionali” tecniche di sensibilizzazione auditiva, facendo emergere silenzi, agitando field recording e frammenti sonori di varia provenienza, realizzando come una mappatura alle soglie della nostra acutezza nel distinguere. Uno degli interessi primari dello sperimentatore è “l’esplorazione delle relazioni tra le persone e gli ambienti sonori”, spazi che sono particolarmente ricchi di sfumature auditive e andrebbero “ascoltati” con maggiore attenzione. Sono piccole suite radio-drammaturgiche allora quelle per le quali l’autore dispone un’articolata gabbia concettuale, annettendo anche suoni strumentali ed elettronici ma cercando comunque di preservare gli ambienti reali che molte delle opere “abitano”. Il risultato di questo approccio è decisamente assai fluente e ricco di squarci poetici, grazie a catture auditive che sembrano ispirare la narrazione, comunque costruita nel montaggio in maniera piuttosto elaborata, intersecando differenti piani, giocando sulla qualità delle registrazioni effettuate nelle differenti soundwalk e sessioni di registrazione, costruendo meticolosamente i percorsi sonori che vanno infine a comporre ciascuna delle 19 partiture presentate. Daniel Blinkhorn, compositore australiano, sound e digital media artist, ci ha comunque convinto del suo talento, l’uscita è godibilissima all’ascolto e di grande fascino. The most diverse album in recent memory, Terra Subfónica is a series of “radiophonic miniatures” that investigates sound and sub-sound, with an emphasis on the ignored. Extensive liner notes guide the listener through a selection of soundscapes that range from quiet field recordings to thick electronic drone. The album is best enjoyed without extraneous noise in the room; even an air conditioner will drown out many of the subtleties. Rich in dynamic contrast and overall development, this is a romance for the auditory canal. Daniel Blinkhorn loves sound like other people love dessert. It’s a healthy obsession. Blinkhorn’s decision to concentrate on the frequencies we normally ignore opens windows into perception and the subconscious. We do hear these sounds; we just don’t know that we hear them. But to keep the proceedings from growing esoteric, Blinkhorn adds familiar properties as signposts. Jeremy Sawkins’ jazz guitar is a friendly presence in “Subfón – monochrome i: Duration”, which acts as an overture for the set; later appearances by Sawkins serve to connect the dots. While thematic sets form the core of the album, related pieces are often separated; for example, the “seascape triptych” is found in tracks 1, 4 and 11, while “sub chron i and ii” occupies tracks 3 and 12. This separation lends the album an even greater variety, although it also inspires alternate track orders. As it stands, the album generally works its way from the thin to the thick, the field recording to the performance, in a non-linear fashion. If the mind wants to impose order, then order can be found, but if not, then it can be enjoyed with its mystery preserved. For example, the first seascape does sound like a seascape, with its obvious wave action; but the third (in the more computerized section of the album) might be mistaken for an electronic work. The ear is fooled by the context, as the pops and pings are those of coral creatures. Likewise, the clocks of “sub chron” sound less like clocks at the deep end of the set, but the distinction is erased when the parts are played in sequence. This isn’t sleight of hand, but decontextualization: the same effect that occurs when one finds a familiar face where it is “not supposed to be” – a co-worker at a mall, a teacher at the beach – and can’t recall the person’s name. In the two parts of “corpus sanus”, Blinkhorn contrasts the inner workings of the human body with those of a computer. There’s a lot more going on than meets the ear. If a message is to be gleaned from this pairing, it may be that we are disconnected not only from ourselves, but from our tools: ungrounded, unaware. And as demonstrated on “relatively loud tones”, humans can even become acclimated to alarm tones and bells. The frequency of such sounds lowers the brain’s sense of alert; over time, warning notes are reduced to an ambient backdrop. This is the modern version of “The Boy Who Cried Wolf” ~ too many false warnings, followed by apathy and then the actual disaster. The album’s most endearing section arrives near the end, as the artist records the sound of his own children playing for the three-part “toy bagatelle”. This triptych is enchanting and strange all at once, reflecting the inner world adults are no longer able to enter, save for hints of nostalgia and déjà vu. A winding toy, a ping-pong ball, the extended note of a toy piano, and even a drumbeat figure strongly in the processed work, which seems more real because it is less real, a feat of counter-intuition. Will his children like it? Perhaps not until they are adults. Our attentions and appreciations change over time, and sound is never restricted to a single interpretation. Sounds that exist beyond the periphery of our consciousness have a curious way of burrowing their way into our mind. They pulse below us, somewhere in the margins, yet they exert influence over our moods thoughts and desires. It has often been through the work of field recordists that we listen attentively to the marginalised sounds of the familiar for the first time. It is these sounds, from the subsonic terrain, that Daniel Blinkhorn observes in “Terra Subfonica”. From domestic interiors to public exteriors to the body itself “Terra Subfonica” is comprised of 19 short tracks. Due to Blinkhorn’s broad focus the subject material is diverse yet his compositional style creates a sense of unity between each work. With each short piece Blinkhorn shows sensitivity towards the original object, this is especially evident in the way he allows the field recordings to clearly identify the sounding object. Unlike many acousmatic works the compositions found on “Terra Subfonica” do not intend to shroud the original source material, instead we hear objects such as alarms, computers, children’s toys and cityscapes in close proximity. Blinkhorn uses the microphone as his instrument. That which was at the periphery is now placed at the centre. Although this has become standard practise for many field recordists it is in Blinkhorn’s compositional style that “Terra Subfonica” finds its unique and deeply human voice. From the periphery of public space comes “Relatively loud tones”. Layers of field recordings of alarms, church bells and warning signals are subtly juxtaposed with human voices. Tones fade in and out unobtrusively, processed again with the airy delays that characterise much of the work on “Terra Subfonica”. It is an interesting paradox that “Relatively loud tones” is one of the gentler compositions on the release. Blinkhorn’s intent is clearest here: even the loudest of signals can be marginalised by the human psycho-acoustic filter. Finally, “Terra Subfonica” turns its attention to the sounds of the human body in works such as “corpus sanus – hominis” and “voix sous”. In “corpus sanus – hominis” recordings of the heart, blood, and lungs are made by taping a microphone to the body. External sounds from a street are layered alongside those of the body, providing an insight into the way in which the exterior affects the interior. Again Blinkhorn contextualises sound within the scope of the human condition. What could otherwise be a work of abstraction is instead characterised by a sense of humanity. Blinkhorn recorded much of the work on “Terra Subfonica” whilst working as the artist-in-residence at the Australian Broadcasting Corporation in 2010. From Blinkhorn’s time as the ABC’s resident artist he has created a work of subtlety and sensitivity. After listening to “Terra Subfonica” we approach the world with renewed curiosity, we search for the sonic terrain that exists in the margins. Daniel Blinkhorn is an Australian composer, sound and digital media artist based in Sydney. His work develops in radiophonic art, environmental sound and electroacoustic music field. Blinkhorn is interested in the sounds that surround us but sometimes we don’t perceive with our ears or we are not conscious on hearing. 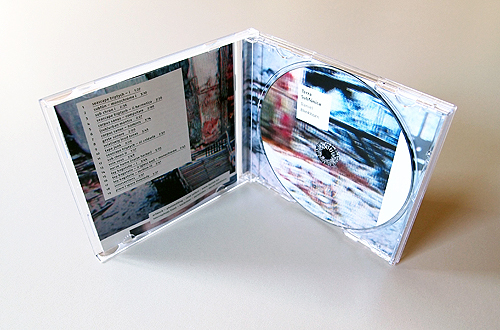 This CD emphasizes the wide range of sound art works that explore the medium of radio. For this purpose he used field recordings, recorded voices, guitars (by Jeremy Sawkins), clarinets (by Rémi Delangle), DJing beats by Olivier Zeller and electronics. Nineteen short tracks that deploy different issues like seascape, sound of time (clock), crustaceans, the human interaction with desktop computer, wind, waves, water, seaspray, whispers, among other sounds. This is an amazing work showing the sounds that go unnoticed and have a rich sound nuances. You’ll find Daniel Blinkhorn in Gruenrekorder’s ‘Soundscape’ department. On Terra Subfónica he’s created 19 short-ish compositions each one dealing with the way in which we, as creatures of hearing, go about our daily routines without taking in the really interesting sounds that are going on all around us. Take for instance the way in which you may be able to hear your neighbours children playing through your incredibly thin poorly built walls. Blinkhorn recreates the event by recording his children at play, playing the results back through some speakers and recording the whole thing from a different room through a drinking glass with a contact mic attached to its base. There are 19 such examples of what Blinkhorn calls ‘sub sound’ each one a startling revelation, each one carrying with it extensive explanations of its purpose and genesis within the accompanying booklet. There’s a sea scape tryptich the second installment of which records the sounds of a colony of hermit crabs underwater, the insides of a desktop PC where Blinkhorn takes the casing off his computer and records whats going on in there with several [no doubt highly sensitive microphones], ‘Tape Junk’ composed from the outtakes of jazz guitar recordings [big reveal – it sounds nothing like outtakes from jazz guitar recordings], ‘Sub Chron II’ a work made with clocks, ‘Voix Sous’ from whispers. And on it goes. The results are a stunning. An embarrassment of riches. Blinkhorn not only finds delight in ‘sub sounds’, he knows how to develop them into greater things, make them even more of a delight for the listener. Dip in anywhere on this release, turn up the volume and prepare to be entranced. You might be listening to crabs scramble over each other in their underwater habitat but what you’re hearing is the gentle clack of exoskeleton, like gentle rain hitting a thin sheet of tin. The sounds culled from inside Blinkhorn’s PC become digital micro chatter, overloaded information highways. In ‘[Sub]Urban Mantra’ we find the hum of the city playing host to a powerful throb, voices come and go, distant traffic can be heard and then birds. And on it goes. 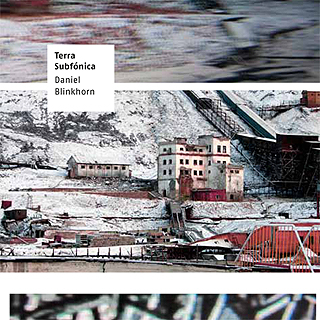 Terra Subfónica is one of the most impressive environmental sound/electroacousitc works yet to come this way. The last track is probably the best [I’m saving the best for last] ‘Place/Space Threnody’ finds Blinkhorn playing an array of instruments including the piano which are then processed, clipped edited, reworked, whatever it is he does with these sounds, until we arrive at something that sounds like a cross between Arvo Pärt, David Sylvian’s more esoteric moments and Austrian laptop/guitar dabbler Christian Fennesz. A sublime piece of work. Blinkhorn’s CV runs to soundtrack work, installations, orchestral work, chamber orchestra, symphonies, radiophonic pieces, he’s been lauded with international prizes and his works are performed worldwide. Its a pleasure to have been introduced to him. Helgoland comes in a printed cardboard fold out job, both releases contain excellent booklets. Quality abounds. 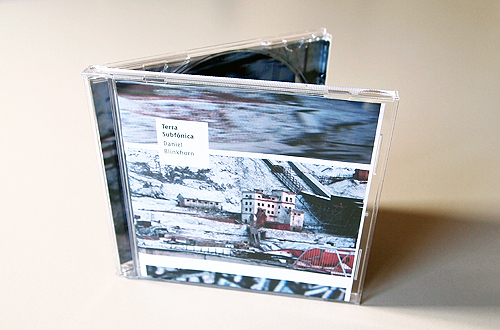 Terra Subfónica, a radiophonic work (available in 500 CD copies) by Daniel Blinkhorn, holds up well if experienced on purely sonic terms or as a recording whose aural content is amplified by the track-by-track detail the Sydney-based sound artist and field recordist generously provides. Presented in the form of nineteen miniatures, the recording documents one of his primary interests, specifically the relationships between people and the sonorous environments they inhabit, the latter often existing as subliminal parts of the larger, complex fabric. Blinkhorn’s preferred term for this is “sub sound” as it refers to a terrain existing just below the threshold of awareness. A panorama of sounds originating from field recordings, instrumental music, and electronic music constitutes the raw materials out of which the miniatures were developed. The pieces are a diverse and eclectic lot that, despite being so multi-varied, share a common theme and consequently hold together as a cohesive statement. Vocal sounds, clarinets (by Rémi Delangle), guitars (by Jeremy Sawkins), and even, surprisingly enough, hip-hop beats (by Olivier Zeller) surface during the recording, adding to the rich landscape assembled by Blinkhorn. As reflected in its title and incorporation of manipulated clock sounds (whirrs, ticking, chimes), time is the obvious theme of “Sub Chron I,” which Blinkhorn amplifies further by including a field recording of a public space to emphasize how fundamentally our everyday lives are configured by clock time. Dominating “Corpus Sanus – Computare” are glitchy electronic sounds Blinkhorn captured by opening the casing on his computer and using microphones to record the inner sounds of the machine, which he then processed using—what else?—computer software. Glitchy and real-world sounds intertwine in “Relatively Loud Tones” when bleeps and electronic chirps rub shoulders with church bells, door slams, and people talking, the sum-total of which reminds the listener of the rich array of omnipresent sound he/she is surrounded by and largely desensitized to. “Corpus Sanus – Hominis” records the inner sounds of the human body, specifically the heart, blood, and lungs, something Blinkhorn effected by taping a handmade ‘stethoscopic‘ microphone to his body during a soundwalk through the traffic-laden urban environment. By contrast, “(Sub)Urban Mantra” moves into the outer world to capture a teeming cityscape of people-related sounds, a busker’s guitar a kind of glue connecting the bits together. Fragmented whispers form the backbone of “Voix Sous,” an ethereal soundscape of noticeable ebb-and-flow that perhaps comes closest of the pieces to being a prototypical electronic composition of the contemporary kind. Zeller’s beats accompany sounds of Blinkhorn’s three children playing—tumbling, rolling, giggling—on the first of the three “Toy Bagatelle” pieces, the third of which assumes a more abstract form in manipulating and time-stretching the sound produced by a single key on a toy piano. A vast range of environments is explored over the course of the fifty-five-minute recording, and one comes away impressed by how effectively Blinkhorn brings to the listener’s awareness the huge number of sonic worlds—micro and macro, natural and urban, inner and outer—one is experiencing and immersed within at any given moment. 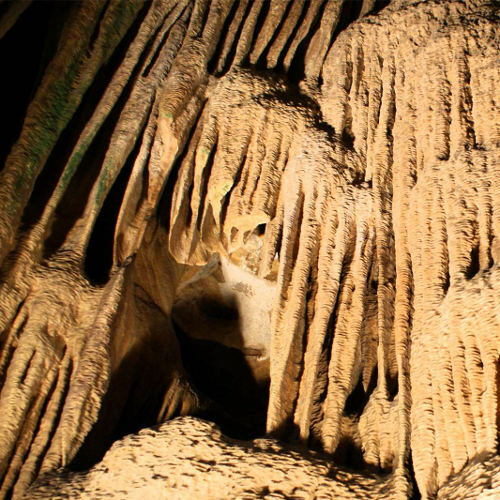 In that regard, the experience of listening to Terra Subfónica proves to be transformative. Releases by Gruenrekorder start to look better and better, but also contain a lot of information on the music it contains, although not always on the composer. I have no idea who Daniel Blinkhorn is, but according to the booklet his interest lies in ‚radiophonic art, environmental sound and electro-acoustic music‘ and on his release we find nineteen short(ish) pieces of that. Blinkhorn defines ’sub sound‘ as ‚a radiophonic suite reflecting and meditating on aspects of that which is below us‘. Each of the pieces is described in the booklet, like ‚Sub Chron II‘ in which he uses the sound of clocks, and what it means. That’s nice, but perhaps not always necessary. One could leave something to the imagination, plus, I think, some of these pieces are a bit too short – maybe, too pop, if you care to follow me – to be described so in depth. Sound processing through the use of the computer seems to be his main thing and, although I’m not sure, it’s seems to be processing of a similar kind.